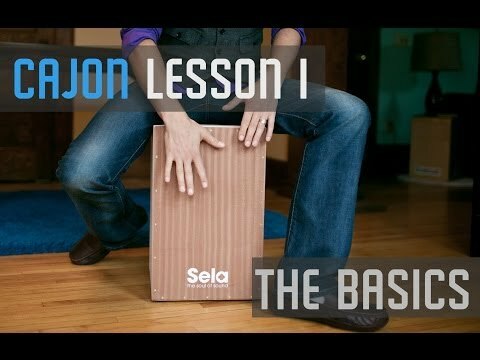 This post shows you a basic cajon lesson for beginners. The cajon is a remarkably flexible instrument and can be learned quickly and easily by anyone with a basic concept of rhythm. The cajon is also a highly portable percussion kit and can be carried by one person in a carrying bag – this feature is making it very popular as now percussionists can have a full percussion kit that they can bring about with them to jam sessions, acoustic (unplugged) events and even garden parties & picnics. Thanks for this information. I just started to play the cajon when my father brought one home from work one day – I love it. It was the fastest way for me to get started playing percussion instruments. This summer has turned out great so far as my friends play acoustic guitar, bass and other instruments, but we never had a good percussion instrument for our outdoor parties – until now!